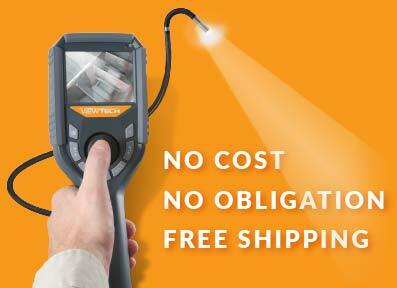 ViewTech is a worldwide leader in remote visual inspection (RVI) and video borescope technology. 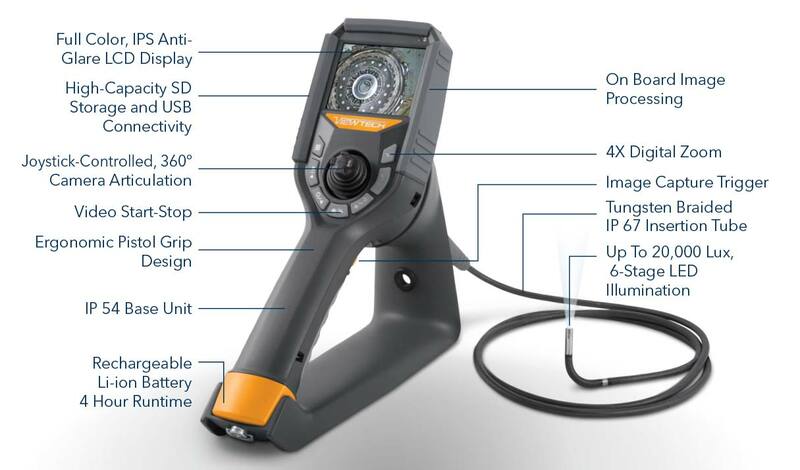 The VJ-3 mechanical articulating video borescope, delivers all the features you would expect in a high-quality videoscope inspection camera at a price that makes it accessible to almost everyone. Available in 3.9mm & 6.0mm diameters. The thumb-activated joystick provides precise control of the articulating tip and responds to the slightest movement in all directions. Up To 20,000 Lux, 6-Stage LED Illumination. Easily adjust to one of six different brightness levels, or they can be turned off. This prevents light washout and helps to provide a clear image. RF System Lab was established in 2008 with the goal of bringing affordable, high-quality video borescopes to the market. Download the General Brochure for the ViewTech VJ-3 Videoscopes by clicking the icon above or the link below. Download the ViewTech VJ-3 User Manual by clicking the icon above or the link below. 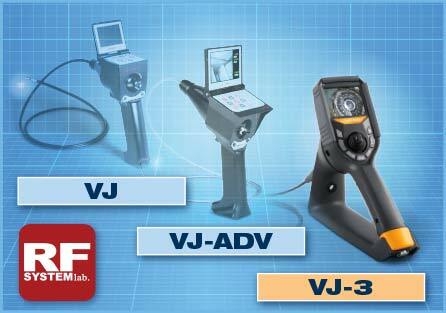 Download the General Brochure for the RF System Lab VJ-ADV Videoscopes by clicking the icon above or the link below. Download the General Brochure for the RF System Lab 2.8 VJ-ADV Videoscopes by clicking the icon above or the link below. Download the General Brochure for the RF System Lab 3.9 VJ-ADV Videoscopes by clicking the icon above or the link below. Download the General Brochure for the RF System Lab 6.9 VJ-ADV Videoscopes by clicking the icon above or the link below. We packed a lot of functionality into the VJ-3 and placed it behind a water resistant cover. The VJ-3 has one finger image capture and video recording, start/stop functionality. 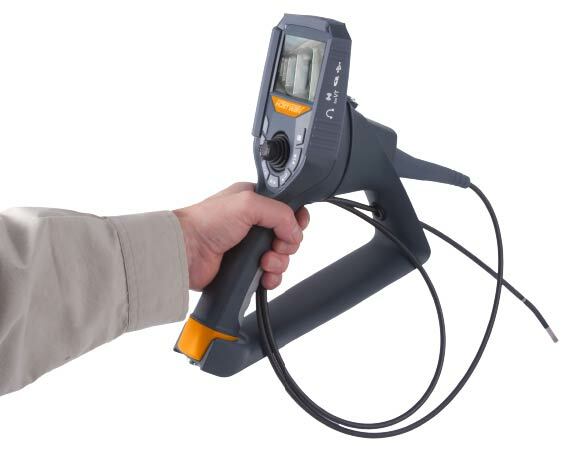 The removable base makes inspections a snap while protecting the borescope from accidents.